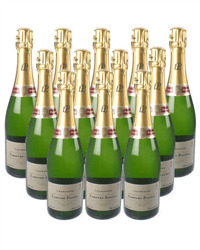 Who wouldnt want twelve bottles of Champers. Our twelve bottle Laurent Perrier Champagne case deals are great value and are designed to stock you up for that party you have been planning. The Champagne will be safely delivered on a date of your choice too!